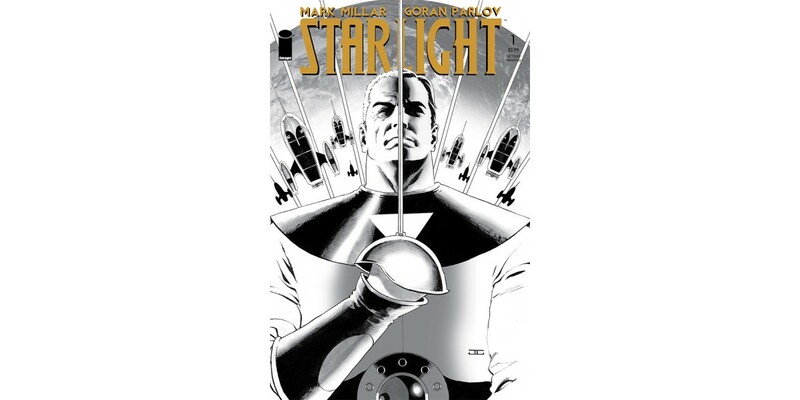 The first issue of Mark Millar’s and Goran Parlov’s highly-anticipated new series STARLIGHT has sold out at the distributor level. STARLIGHT tells the tale of Duke McQueen, a retired United States Air Force pilot who once became the hero of a distant world after slipping through a wormhole and overthrowing its cruel masters. Now, decades after returning to Earth and realizing that no one would ever believe his fantastic claims, McQueen is called into action—and space—once again. In order to meet customer demand, Image Comics has slated issue #1 for a 2nd printing. STARLIGHT #1 has completely sold out at the distributor level, but may still be available in comic stores. It is currently available digitally on the Image Comics website (imagecomics.com) and the official Image Comics iOS app, as well as on Comixology on the web (comixology.com), iOS, Android, and Google Play. Image Comics is pleased to announce that this second issue will be going back to print to meet customer demand. The second printing of STARLIGHT #1 (Diamond Code FEB148315) will release on 4/30. STARLIGHT #2 is currently available in stores. Issue #3 releases on 5/7 and is available for pre-order with Diamond Code MAR140604. A variant cover featuring art by Francesco Francavilla is available to pre-order with Diamond Code MAR140605.